El Albero – the Andalusian Tavern – offers authentic tapas and atmosphere at a very reasonable price. 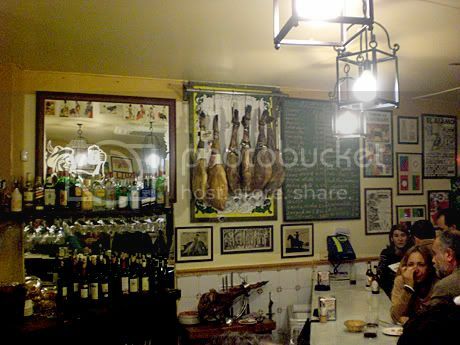 This was my very first tapas bar in Spain and I loved it. I’d never eaten shark before and, although I don’t really like eating fish, this was delicious. Don’t show up before 9pm! We got there at 10 and had reservations, which I would recommend, especially on a weekend. Sometime around 11pm, they dimmed the lights inside and sang Andalusian songs. If you want atmosphere you came to the right place. It’s also very helpful that the menu was in English. What is your favorite Tapas Bar in Valencia? Share your tips on the Valencia Forum.